The NZD has decreased due to negative economic statistics and FED plans to raise the rate. The deals to buy seem more effective due to the probability of a price correction. The uptrend has lost its intensity. On the chart we can see the formation of a new trend since January 2018, which is currently flat, but has a chance to transform into a downtrend in favor of the USD. President Trump announced tariffs on steel and aluminum exports, leaving the global markets in shock yesterday. The markets are still reeling from a hasty announcement yesterday by President Donald Trump that as of next week they will be imposing tariffs on metal imports into the United States. The news is quite controversial and has sparked debates all over the world. On March 3 our company held a seminar in Sungai Petani. The purpose of this seminar was to improve traders' techniques for the GBP/JPY currency pair. Traders from all over Kedah took part in the event. The seminar dealt with the analysis of this pair, considered special techniques, as well as the use of Bollinger Bands to achieve the best results in the process. Visitors received the most current and exclusive information to date. All of that has been collected, structured and tested for seven years by Mohd Muslim Ab Hadi. We hope that all participants were able to learn and apply the knowledge gained. On March 3 our company held a seminar in the beautiful capital of Bangladesh - Dhaka. A lot of people attended our seminar, which was held together with our partner, Mr. Haque. - Working on the real market. - Operating the MT4 platform. - How to avoid beginners' mistakes. We sincerely hope to see you at our next event where you would be able to expand your trading knowledge further and win more prizes. The EUR is under pressure due to the results of elections in Italy. Short deals can be effective in the short term based on the price correction. On the market we can see a situation where almost all major currencies are under the pressure of negative factors. The EUR at the moment again is coming under the influence of political factors. Despite the formation of a coalition in Germany, after lengthy negotiations, which means the preservation of Angela Merkel's position, the EUR fell in price due to the elections in Italy, where populist and right-wing parties significantly strengthened their positions. On March 10 we held a seminar in Kuala Lumpur. During this event traders had the opportunity to see Mohd Fareez present on various useful topics. The seminar was attended by a big group of people, who all helped make this event more dynamic by bringing their questions and their own perspective to the discussion. As usual, we also rewarded some of the attendees with money certificates drawn in a raffle. We would like to congratulate our winners once more! The USD which was under negative political factors can strengthen soon with new statistics. The deals to BUY seem effective at the moment. Since January the MXN value has stabilized and is changing against the USD in a strictly defined range of 18,507 - 18,993 MXN. On the chart we can see a stable flat trend. The MXN remains under pressure due to the protectionist policies of Donald Trump and the situation in the economy of Mexico, which is not so perfect to positively affect the value of the MXN. Receive high rewards by talking about the safe, fast and profitable SuperForex conditions with your friends, customers and subscribers. Share a unique registration link in your blog, in articles, on banners, in e-mails, on landing pages and in social networks. Regardless of whether you are new to the world of affiliate programs or already have professional experience, we are pleased to have a long-term cooperation with you. Our diverse Partnership Program is suitable for everyone, both individuals and businesses, as we offer a great variety of partnership types. If you’d like to learn more about each type, please visit this page. Will oil prices continue to increase this year or would their growth be stalled by the increasing production in the US? The situation on the oil market has been very dramatic in the last few years. After a prolonged period of record high oil prices, the market crashed due to oversupply in 2015, with major price drops well into 2016. OPEC took steps to contain the crisis by agreeing to cut down their production by 1.8 million barrels per day in order to alleviate the oversupply and allow prices to grow naturally, and were joined in this effort by a few non-OPEC states, such as Russia. Our company continued to hold seminars in major Malaysian cities to promote Forex trading. We held a free seminar on the topic of How to Become a SuperForex IB in Johor Bahru on March 17, 2018. 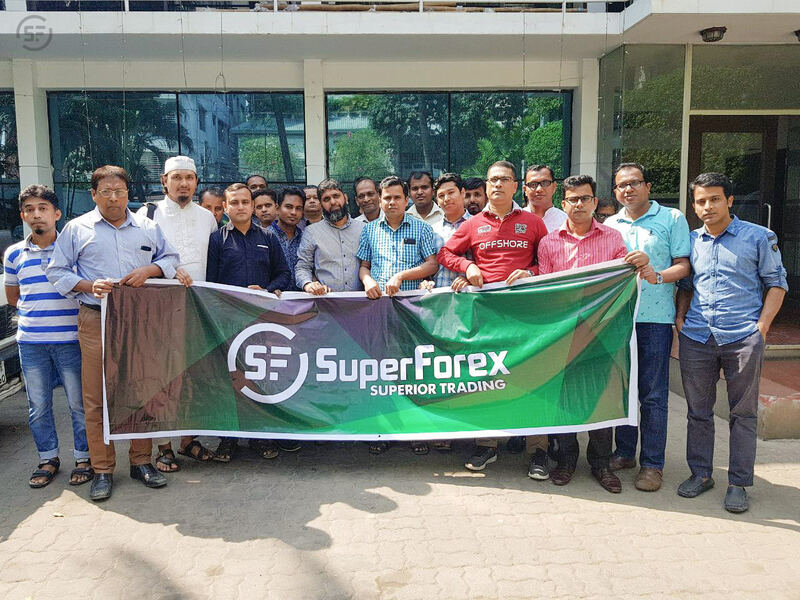 This event was attended by many existing and potential traders, as well as partners of SuperForex. All participants had the chance to learn about the advantages of working on the foreign exchange market with our company. According to the feedback of our partners, the seminar was not only timely, but also quite informative, which enabled them to learn the many subtleties and nuances of the work. Evidence that the workshop was productive was the active discussion of technical issues. Also a lucky draw lottery was held among the participants, and the winner was given a wrist watch. The FED is likely to change the rate today. So the deals to SELL seem most effective at the moment. At the moment the US dollar is stable, which is reflected on the value of Gold. The rates consolidated within the flat trend starting from January. At the same time, there are signs of movement of the rates down to the support line, as the demand for safe assets decreased this month. If investors want to invest in the “safe assets”, they prefer a strong Japanese yen, as the most promising and stable currency to date. 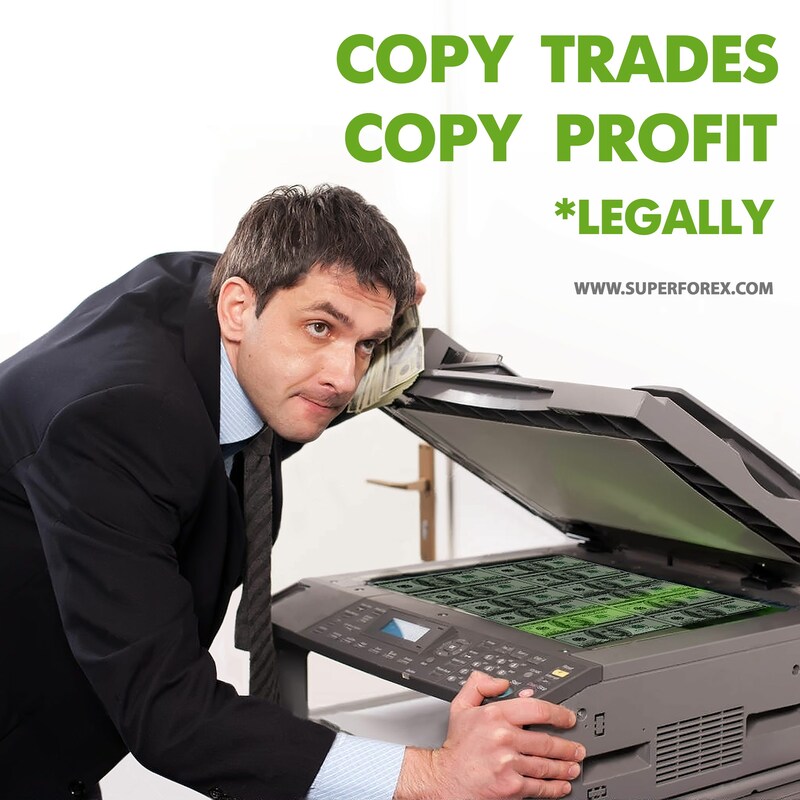 The best way to earn in Forex market is to copy the transactions of the most successful traders. You need only a few clicks and you will receive trading signals from selected professional traders! There is no need to study all the subtleties of trading on Forex and are afraid of losing the entire deposit. Copy the deal today and immediately make a profit. The US plans to hit China hard with new tariffs, which has shocked the global markets once again. Just weeks after Trump’s rather spontaneous announcement that his administration will be imposing tariffs on steel and aluminum imports, a decision that has been a hot topic ever since as many experts and politicians seem to disapprove of, earlier today he announced new tariffs, this time specifically targeting China. We allow our clients to trade on CFDs for cryptocurrencies. A CFD contract allows you to earn on the changes in the price of a Bitcoin (BTC/USD), Litecoin (LTC/USD) and Etherium (ETH/USD) without a cryptowallet or buying them. If the price of the cryptocurrency has increased, the buyer will receive a difference in the price from the seller. If the price has decreased - the seller will receive a price difference from the buyer. You can earn at any direction of the price, both with a rise in value, and with a drop in the exchange rate. Any change in price is a prerequisite for earning, so in every situation you can make a profit. Earn on Bitcoin, Litecoin and Etherium trading with SuperForex right now! Russia is taking action against Western countries in light of Skripal scandal. Back on March 4 news broke out that an ex-Russian spy turned double agent and his daughter were found poisoned in the United Kingdom. This gruesome news led to speculations that Russia itself was responsible for the attack, especially because the United Kingdom insists that the cause of Sergei Skripal’s critical condition was the use of a nerve agent called Novichok which was developed by Soviet scientists. Our trading seminar was visited by 40 people. This event was suitable both for newcomers to Forex and experienced traders alike. All attendees had the opportunity to see Wan Mohd Saiful Idham and Mohd Azlin talk about their trading strategies and other Forex-related topics which could help improve the results of trading. The basics of Forex trading, technical analysis & the simplest, most efficient technique of profit-making. How to develop your trading account using Teknik 2 Jiwa. How to enter & exit the market with minimum losses & still be profitable. As usual, we completed this event with a Lucky Draw Lottery with valuable prizes. The EUR has already achieved the highest level since Dec 2014 and may grow further. The deals to BUY seem the most effective at the moment. The rates continue in the frames of an uptrend. The value of the EUR against the SGD reached its highest level since December 2014. Compared to last year, the EUR is devoid of the political risks that it had due to elections in the leading EU countries. We would like to introduce you to our newest Local Depositors in Indonesia. The latest developments in the trade war between the United States and China. Without a doubt all market-related news in the past two weeks has been dominated by one topic: the tariff war that US President Donald Trump started. While this began with uncertainty – from a mere promise towards a proposal that was full of exemptions for many countries, i.e. a plan with a limited impact, now Trump’s idea has become reality.